The government's case amounted to threatening 234 people with a maximum sentence of 70 years in prison for 6 broken windows. It's great that reason prevailed. It's not great that it took a year and a half, and that exercising their right to free speech cost these people so much. Prosecutors began filing paperwork Friday afternoon to formally drop the cases against 38 people who had been awaiting trial. The vandalism of downtown businesses on the day President Trump was sworn in stretched over 16 blocks as part of a disturbance called DisruptJ20. Members of a large group of protesters set small fires and used bricks and crowbars to smash storefronts. As with many protests, there was a small number of black bloc participants who engaged in minor acts of vandalism, smashing six windows. 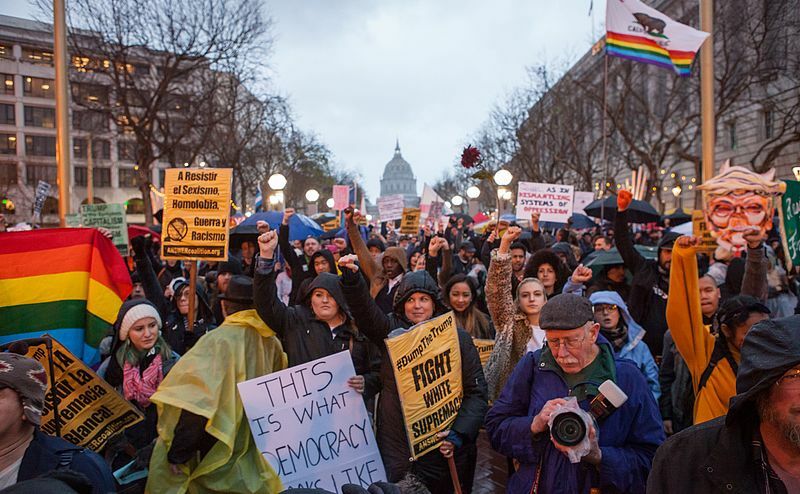 The DC police kettled hundreds of protesters in response, and after more than 100 escaped, they slapped the remaining 200 protesters with felony conspiracy charges, so that each protester now faces up to 70 years in prison for being in the same place as a black bloc action. Here's a copy of today's court filing, via Zoe Tillman (above).